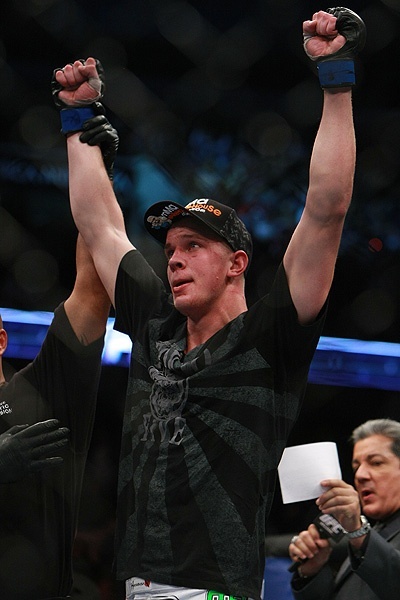 From Holland to UFC, Stefan Struve got another four-fight deal from the promotion. With UFC letting Skyscraper stay in the Octagon a bit longer, it seems like the kickboxer in towering many of his opponents. Last Tuesday, Struve’s management company announced that UFC has signed the up-and-comer Dutch heavyweight Stefan Struve a new four-fight deal. Stefan “Skyscraper” Struve has won four of his last five fights since joining the promotion. With a height of 6-foot-11, Skyscraper is given the distinction of being the tallest fighter in the UFC. The 22-year-old kickboxer is fresh from a Knockout of the Knight performance against Christian Morecraft at UFC 117. He also acquired the Submission of the Night award after giving Chase Gormley a triangle choke at UFC 104. All but two of his 14 career wins came by submission, and another four by knockout. Quick Results: "UFC on FUEL TV: Struve vs. Miocic"